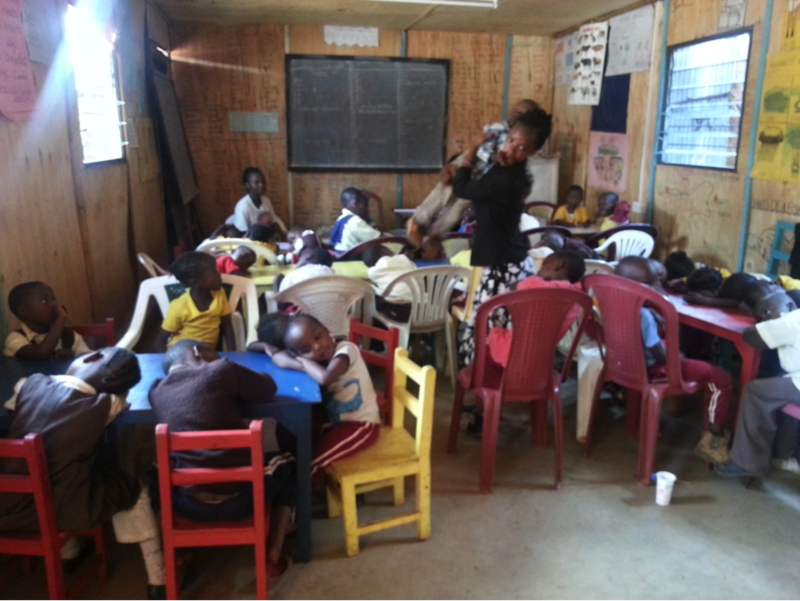 Mchanganyiko CBO school, Kibera – What Next? The second millennium development goal in Kenya is to achieve free universal primary education by 2015. As of now, Kenya is still struggling to educate its children especially in informal settlements where children attend poorly regulated informal schools raising prospects of poorly equipped workforce in the future. According to Kenya Open-data, a government information portal, at least 3 million Nairobi residents live in slums. The Kenyan government supports only 8% of the schools in Kibera. For other schools to thrive, parents must pay some fees for paying teachers and labourers and buying stationery. These locally run schools have no government teachers posted there hence rely on untrained teachers who are underpaid and less motivated. Every child deserves an education. But in Kibera, a slum where many families live on one or two dollars a day, school is an impossible luxury. Students, particularly female students, that cannot afford fees are forced to leave school and work, or in some cases marry at a very young age. They have to do household chores and help with selling groceries, fetching water, washing clothes and general cleaning, through which they only earn a meagre income. Mchanganyiko CBO School is located in the Kibera Slums of Nairobi. The school is a Community Based Organisation (CBO) run by a group of women in Kibera called Mchanganyiko CBO. Currently the CBO has 21 active members. The school has a principal, 2 administrators, 5 teachers, 1 cook, 1 cleaner, 2 volunteers and 1 security guard. The school currently has 80 children with 5 classrooms. It has kindergarten, nursery, and pre-unit, classes 1, 2 and 3. Each classroom can accommodate 20 children. They plan to increase the school enrolment in future to 150 children. Mchanganyiko School does not get any government support. They charge the children a small fee to cater for the school’s needs, and one meal during the school day. Many children s till can’t afford to pay any fees as they are very poor. At times the school is not able to sustain the provision of the single meal and this leads to massive dropouts. The kids drop out to go help their parent to earn a living; some are orphans and so have to drop out to find a living for themselves. The school needs support in providing stable meals to the children. This will help sustain the kids in school and boost their mental capability to study effectively. The CBO members support the school in volunteering in providing labour and contributing some money to pay some of the staff. However most parents are unable to pay any fee to support the school running and cannot even provide food for the children even at home. The school has no library and wants to establish a resource centre in the Kibera slums. This will also provide learning material for the kids. 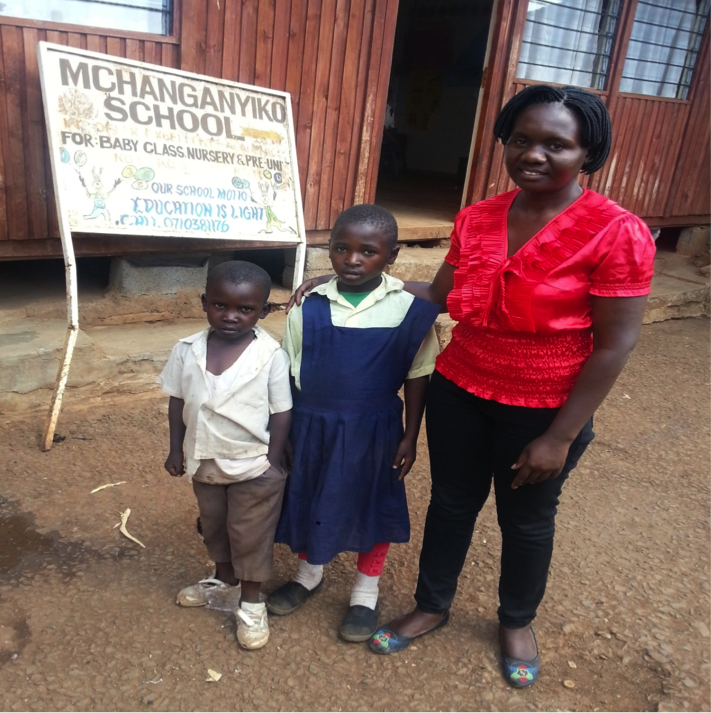 Mchanganyiko CBO School is doing the best to help poor slum children to access education. In their quest to access education, poverty is limiting the children’s access quality education. Financial limitations are a constraint in keeping the hungry children in school. Lack of a school library means they cannot compete with other schools that have well equipped libraries and even computers. Support for a school feeding program that will motivate the children to stay in school. Since most of the children go without a meal at home, a proper school feeding program will improve the school enrolment and help keep them in school. Furniture – the school does not have proper furniture for class room studies. The plastic chairs and tables are not the proper furniture for reading as they are too high for the children. Education is vital to a thriving society, a key to a bright future. A society without education will become the breeding ground for violence and intolerance. But an educated society will promote tolerance and peace, justice and understanding, innovation and advancement, and positive, self-sustaining growth. It’s important to educate our children, no matter where they live, for they will grow to become responsible citizens of their society. Each child represents a future, the future of the community, of the country, and indeed the future of the whole world. This entry was posted in Africa, Education, From GMA, gmablog, Kenya, kibera, Mchanganyiko, millennium development goals, Poverty and tagged #giftbox4kids, #GMABlog, #kibera, #poverty, Education, GMA, Kenya, millennium development goals by BlogGMA. Bookmark the permalink.